Price of crude will go up. When these will happen, ah, that’s the trick. Here’s one prediction. The Star - Oil Price Rally? 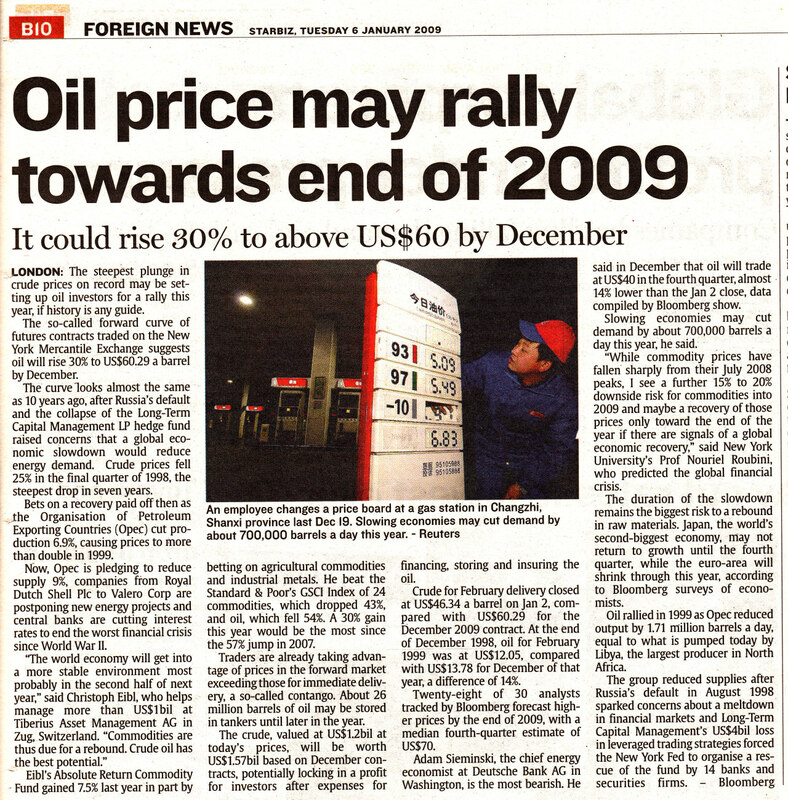 This entry was posted on Wednesday, January 14th, 2009 at 6:00 am and is filed under Malaysia, oil and gas. You can follow any responses to this entry through the RSS 2.0 feed. You can leave a response, or trackback from your own site.